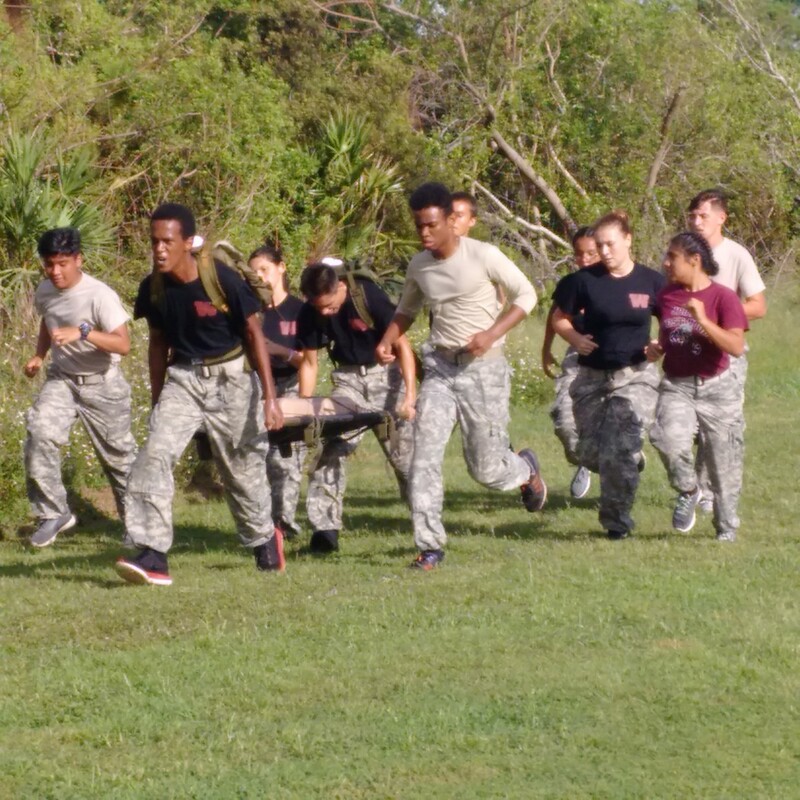 Raider Challenge is a JROTC competition that tests skill, strength, stamina, and teamwork across a set of outdoor adventure tasks. 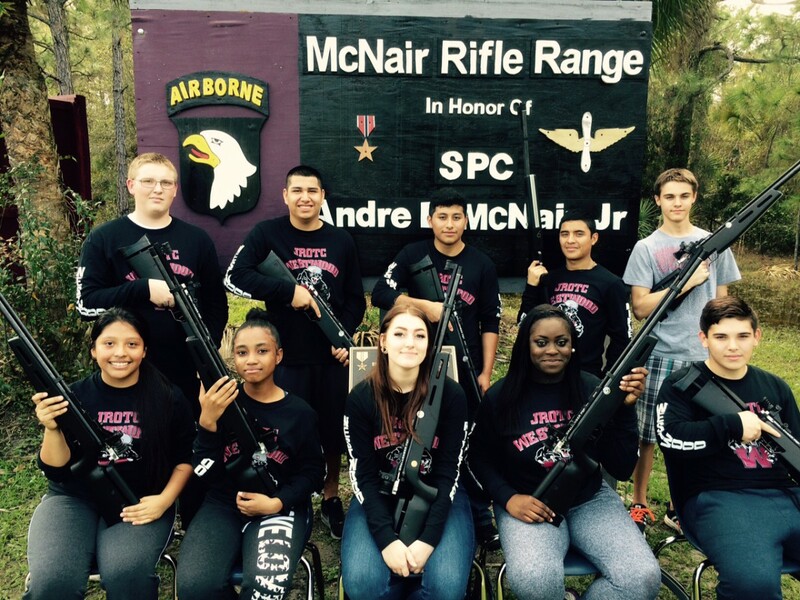 Westwood’s Rifle team will compete in a national online (Postal) league this year. 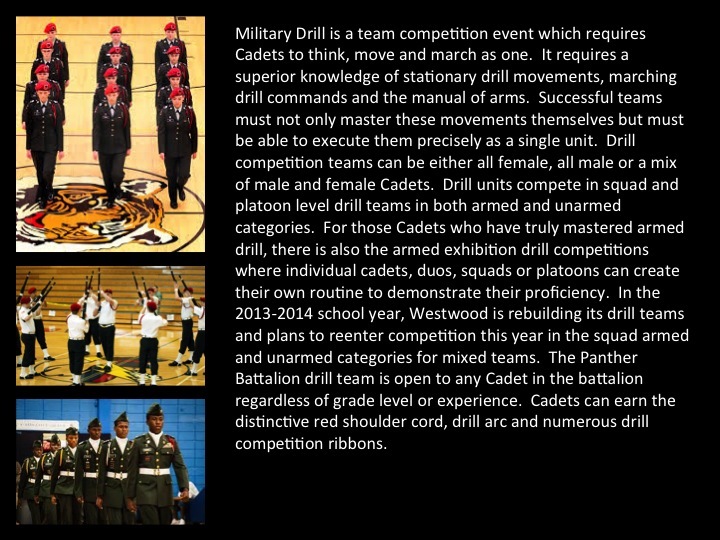 Military Drill is a competition event which requires cadets to think, move, and march as one. 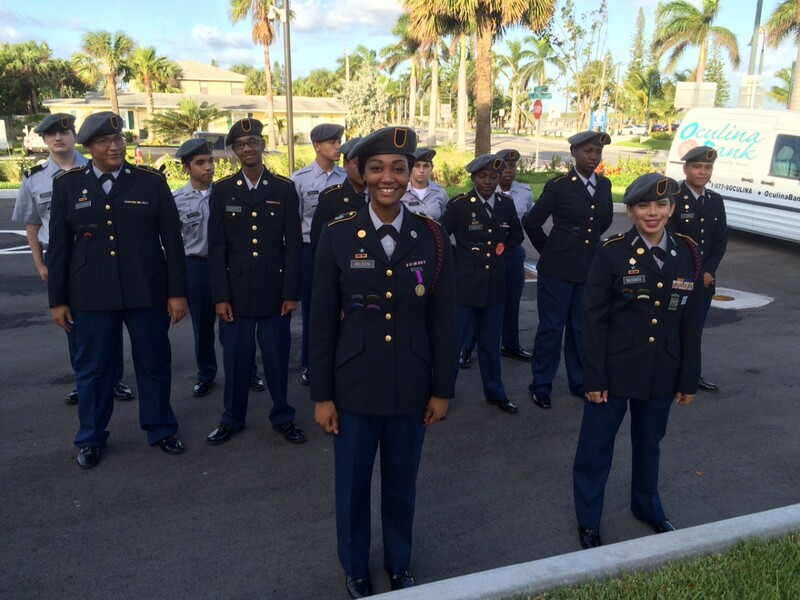 Successful completion of the JROTC program goes even deeper than our mission statement. JROTC provides Cadets with skills, experience and self-confidence that you will draw upon for the rest of your life. JROTC provides Cadets the motivation and skills to improve physical fitness; remain drug free; think critically and creatively; communicate effectively; work as a team member; graduate from high school; pursue meaningful careers especially in the areas of science, technology, engineering, and mathematics (STEM); and become successful citizens. JROTC works to instill in students in secondary educational institutions, the values of citizenship, service to the community and the United States, personal responsibility, and a sense of accomplishment. 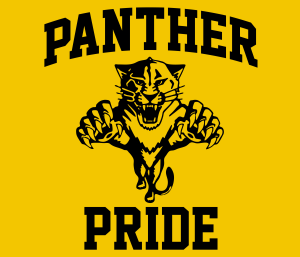 It incorporates 21st Century learning, supportive of school-wide expectations for learning results promotes healthy lifestyles, develops leadership, strengthens positive self-motivation and enhances global awareness to include providing a historical perspective of military service. 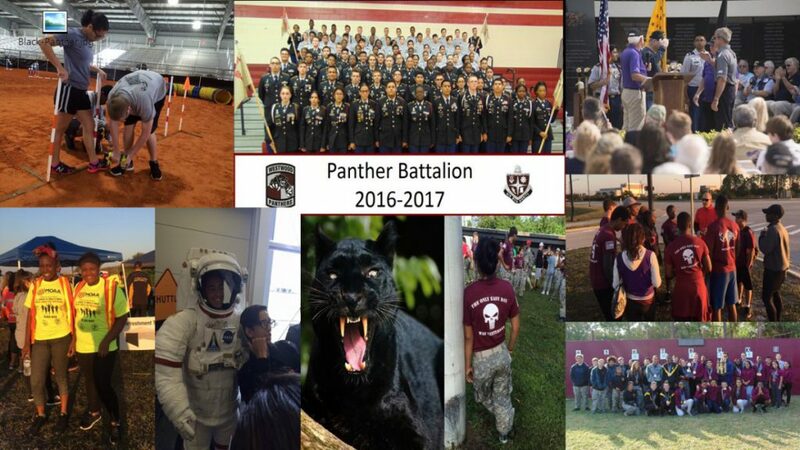 Cadets in the Panther Battalion come from all grade levels at Westwood. We believe in setting and maintaining high standards for personal conduct, uniform wear and the Cadet Creed above. In addition to basic skills such as drill and ceremony (marching), marksmanship and intensive leadership training, Cadets also receive training in self-development, government, citizenship, geography, map reading, financial management, interpersonal skills and communication. At the completion of the JROTC program, our Cadets are armed with the skills, capabilities and values that will lead them to success in whatever career path they choose.